The tourbillon calibre CFB T3000 is a world premiere, and represents a continuation of Carl F. Bucherer’s pioneering role in the development of peripheral technology. 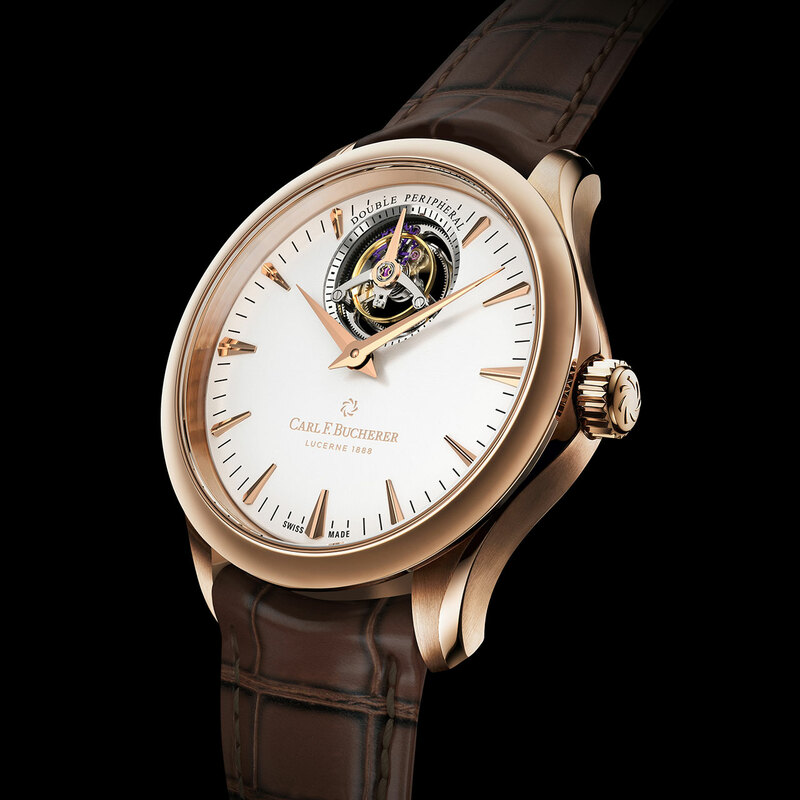 The new movement, created entirely in-house, with a patent for the peripheral winding mechanism and a pending patent for the tourbillon, combines a peripheral rotor with a peripherally mounted tourbillon mechanism that seems to float freely. 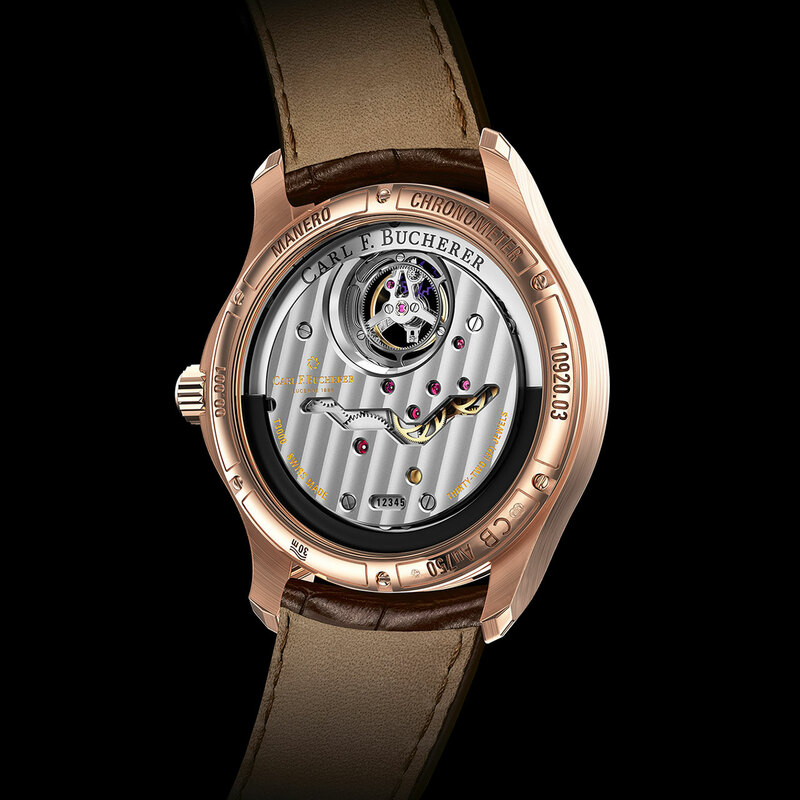 The carriage, rather than rotating on a centre ruby bearing, is supported peripherally by three ceramic ball bearings, allowing the tourbillon to be admired without obstruction from both front and back. 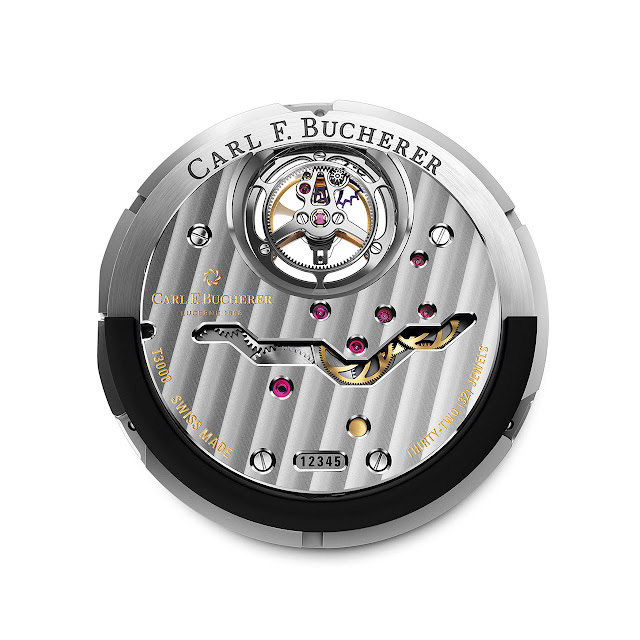 Carl F. Bucherer’s patented peripheral unidirectional rotor allows for a completely open view of the movement through the sapphire caseback. 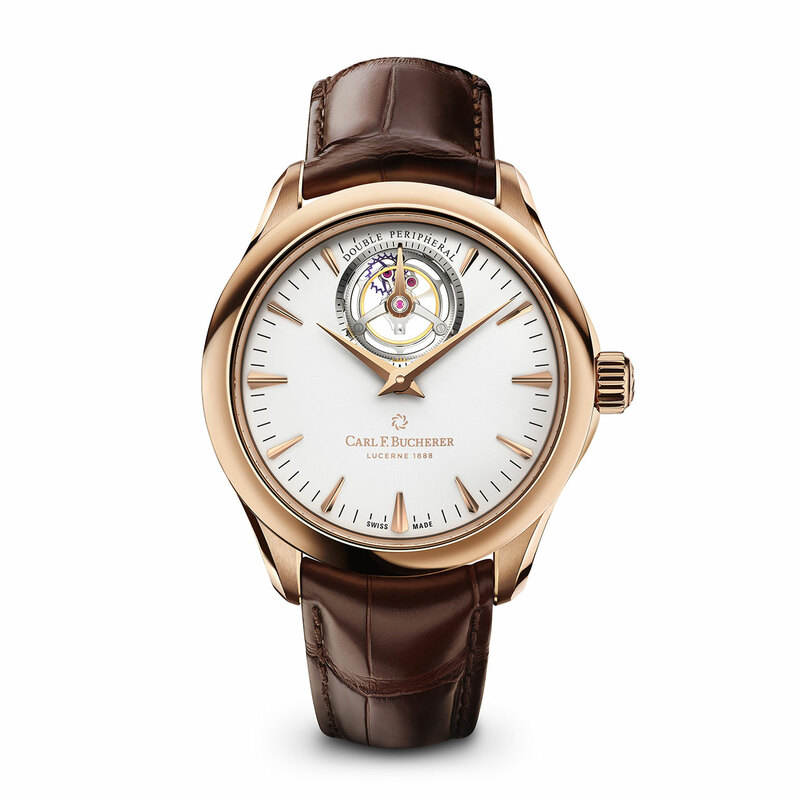 Calibre T3000, with silicon components and a stop-seconds function, is one of the few tourbillon movements on the market to be officially COSC chronometer-rated.